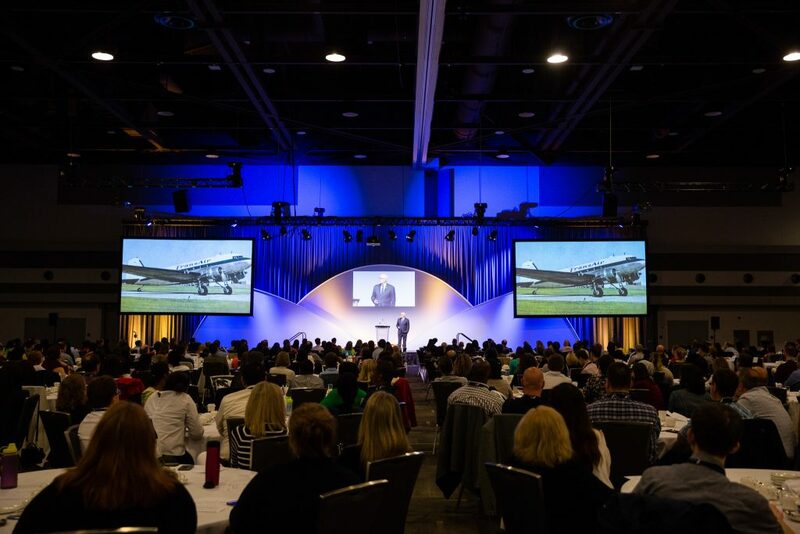 With space for more than 1,100 attendees, this will be the largest Spring Tune Up ever, with keynote speeches and presentations designed to help you face challenging situations at work and better adapt to change and adversity. New this year as well is a public service job fair, with several departments on site to collect resumes for members looking for a deployment or new opportunity (see more information below). Spring Tune Up is free for ACFO-ACAF members and is a recognized training event by the Office of the Comptroller General. The event will be available via webcast for members who cannot attend in person. This year’s Spring Tune Up will also feature an exhibit hall where, among other things, more than a dozen different departments will be set up to receive resumes and CVs from FIs that are interested in learning more about possible deployment opportunities in the federal public service. This first-of-its-kind job fair will give you direct access to managers from various departments and agencies. More information on how to prepare for this fair will be provided closer to the date. Martin Ford is a futurist and the author of three books: Architects of Intelligence: The truth about AI from the people building it, the New York Times Bestselling Rise of the Robots: Technology and the Threat of a Jobless Future and The Lights in the Tunnel: Automation, Accelerating Technology and the Economy of the Future, as well as the founder of a Silicon Valley-based software development firm. His TED Talk on the impact of AI and robotics on the economy and society, given on the main stage at the 2017 TED Conference, has been viewed more than 2 million times. He holds a computer engineering degree from the University of Michigan, Ann Arbor and a graduate business degree from the University of California, Los Angeles. Originally trained as a neuroscientist, and following a brief stint as an aspiring racecar driver, Preet Banerjee now excels within the world of finance. Best known as a financial panelist on CBC’s The National and as a weekly contributor to The Morning Show on Global, Banerjee inspires others to become financially empowered through his world-class expertise and unique ability to take the complexity out of money matters. He speaks on behavioural finance, neuroeconomics, and personal finance. Banerjee is a Fellow of the Canadian Securities Institute and holds the Derivatives Market Specialist and Financial Management Advisor designations. Olivia Neal joined the Government of Canada in June 2017 as the Executive Director, Digital Change. Since being in Canada she and her team have worked with people from across the Government, and outside, to support the creation of structure and culture to enable the drive to be increasingly digital. This has included: developing and launching Canada’s Digital Standards; creating the first Digital Government Strategic Plan; launching a Digital Academy; creating international partnerships, including joining the Digital9; rethinking the approach to bringing in talent, and launching a new platform for recruitment; as well as building approaches to help develop and build the existing community within government. She was previously with the UK Government, where she played a leading role at the award winning Government Digital Service for three years. Roger Ermuth is currently an assistant comptroller general with the Office of the Comptroller General (OCG) where he has responsibility for public accounts, community development and government-wide policy related to financial management, transfer payments, costing, charging. Prior to taking on his role at the OCG, he held positions at a number of federal departments, including most recently Vice President, Health Security and Infrastructure at the Public Health Agency of Canada. Ermuth is a professional accountant (CPA-CMA) having obtained an MBA from the University of Ottawa, a graduate certificate from Harvard University and a BComm from Carleton University. Prior to joining the government, he worked for PricewaterhouseCoopers. He was also a Moderator with the CMA program and part time instructor at the University of Ottawa’s MBA program. Sean Kew works as a chief of business transformation in the Finance Branch at Statistics Canada. He has worked in a variety of finance functions at Statistics Canada since October 2006 and has taken part in several transformation exercises, the most recent of which has seen significant expansion of self-serve business intelligence and analytics among the finance community within the Agency. He believes that enhancing data literacy and analytics skills among the finance community will drastically improve the value we as FIs bring to our clients, and better prepare us for a rapidly changing data-driven work environment in the federal public service.